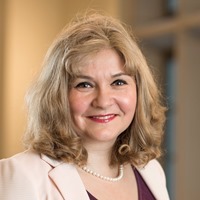 Dr. Maria Koinova is Reader in International Relations and chair of the British International Studies Association working group on the “International Politics of Migration, Refugees and Diaspora.” She successfully completed as Principal Investigator a large-scale European Research Council Starting Grant Project “Diasporas and Contested Sovereignty” (2012-2017). Koinova is currently on the governing board of the EU Jean Monnet network “Between Europe and Russia.” She held academic positions at Harvard’s Belfer Center for Science and International Affairs (2001-2004), Davis Center for Russian and Eurasian Studies (2004-2005), and Center for European Studies (2011), Cornell’s Government Department (2007-2008), Dartmouth’s Dickey Center for International Understanding (2008-2009), the Woodrow Wilson International Center for Scholars in Washington D.C. (summers 2006, 2007), European University Institute (1999-2005, Ph.D.), Uppsala University (2013), and tenure-track faculty positions at the University of Amsterdam (2009-2012) and American University of Beirut (2005-2006). In 2018 Koinova was a research fellow at the Kroc Institute for International Peace Studies at the University of Notre Dame, and will join as a research fellow the Centre for Global Cooperation at the University of Duisburg (2019-2020). Koinova’s research interests span international relations, comparative politics, and international political sociology and focus on how migration, diasporas, and ethno-national diversity impact on the political development of conflict and post-conflict societies. She has had three research programmes: on the governance of transit migration, diasporas and contested sovereignty, and ethno-national and intra-state conflict. In 2018 Koinova was awarded a research fellowship from the Centre for Global Cooperation at the University of Duisburg (2019-2020) to work on a new project, on the “Governance of Transit Migration” in Europe and its neighbourhood, focusing on its regional dimensions. In 2011 Koinova won the highly competitive Starting Grant of the European Research Council to work on a five-year project “Diasporas and Contested Sovereignty.” Between 2012-2017 she directed a team of four researchers (two post-docs, two Ph.D. researchers) who investigated the transnational mobilization of conflict-generated diasporas in Europe and their impact on polities experiencing contested sovereignty in the Balkans, the Caucasus, and the Middle East. The project progressed from qualitative analysis of elite-based diaspora mobilization of six groups (Albanian, Armenian, Bosnian, Iraqi, Kurdish, and Palestinian) in five EU countries (UK, Netherlands, Sweden, Germany and France) to a quantitative analysis through a unique cross-country survey of 3,000 non-elite individuals among the Iraqi, Kurdish and Palestinian diasporas in the UK, Sweden and Germany. Within the larger ERC project, Koinova had a sub-project to investigate diaspora mobilization vis-à-vis de facto states, for which she conducted 300 semi-structured interviews, underpinning her book “Diaspora Entrepreneurs and Contested States” under contract for publication with Oxford University Press. As a result of this large-scale project, Koinova became the single or leading editor of three special issues, in International Political Science Review (2018), Journal or Ethnic and Migration Studies (2018) and Ethnic and Racial Studies (2019, forthcoming). She also published numerous other articles in the European Journal of International Relations, International Studies Review, International Political Sociology, International Political Science Review and Global Networks, among others. The ERC project built on Koinova’s previous research programme, which studied why ethno-national conflicts reach different degrees of violence, and why they persevere even after numerous international efforts for conflict resolution. Her book “Ethnonationalist Conflict in Postcommunist States: Varieties of Governance in Bulgaria, Macedonia, and Kosovo” was published by University of Pennsylvania Press (2013). The book argues that violence is rooted in informally institutionalized conflict dynamics established during a formative period, and sustained through specific causal mechanisms over time. Path-dependent processes incorporate not only local majorities and minorities, but international agents as well, such as major states, international organizations, and kin-states. The book was recommended by Choice (2014) and reviewed by Foreign Affairs, Journal of Peace Research, Perspectives on Politics, and Political Studies Review in addition to ten other academic journals. Koinova taught courses on International Security, Comparative Politics, Nationalism and Ethnic Conflict, Non-state Actors in International Relations, Politics of Post-industrial States, and Europe, Democracy, and the State. In term 2/2019 Koinova is teaching a new module “Diasporas and States in World Politics” (MA level), giving lectures on “Ethnic Conflict” and “Migration, Diaspora Communities and International Relations” (BA level), and ESRC/DTC workshop “Field Research, Transparency, and Analytic Rigor through Coding” (Ph.D. level). Koinova is interested in collaborations with faculty members, post-doctoral fellows, and Ph.D. students who would bring complementary knowledge to her research programmes.